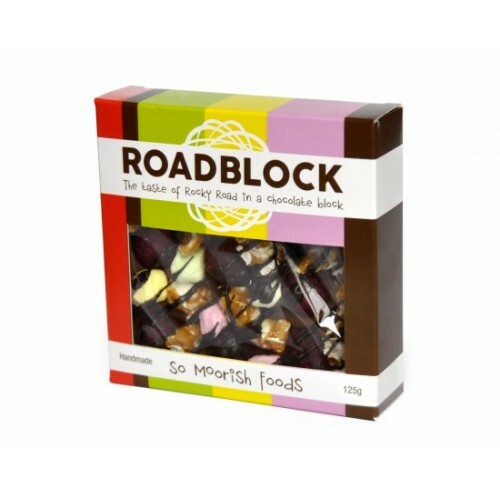 So Moorish Foods RoadBlock is a de-constructed Rocky Road consisting of Caramel Popcorn & Peanuts, swimming in a sea of smooth milk chocolate. 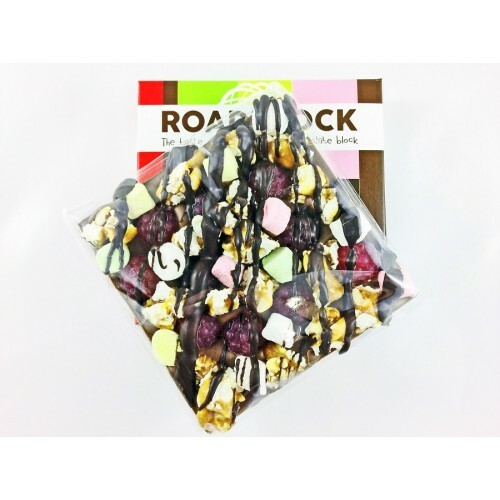 It's finished with a liberal sprinkling of Raspberries and Mini Mallows for full flavour impact. ​Presented in a colourful box, it makes an ideal token gift or a superb indulgence. 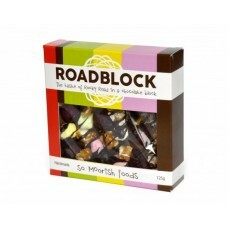 So Moorish Foods has concocted a wickedly indulgent treat just in time for Easter! The Rocky Ro..